Vaccines and Autism: is there a link? 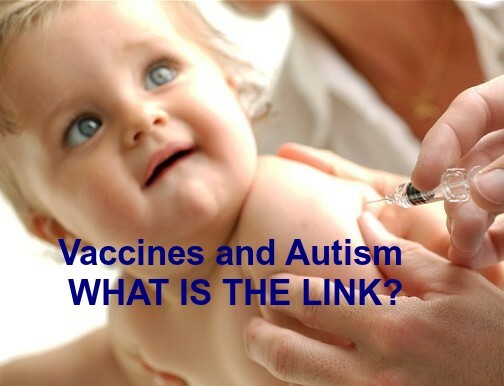 Question: Is there, or is there not a link between vaccination and autism? There exists to this day a public controversy both within the medical community and in the public at large over the link between autism and children’s vaccinations. The pro-vaccine lobby seizes on the research of Dr Andrew Wakefield. It was he who first made public the link between autism and vaccines in 1998. He was subsequently prosecuted and barred from practising medicine in the USA, some would say because of his outspokenness. His detractors point to factual errors in his findings. But was this yet another example of corporate hit-man science as we have seen practiced time and again by the likes of big tobacco, big oil and in the global warming debate? Or was Dr Wakefield actually wrong? My own conclusion is that Dr Wakefield’s biggest sin was in speaking out. It seems clear to me that he was in fact persecuted for being honest. It must be said that there is a substantially long line of doctors of all descriptions, who have been prepared to risk their careers and public ridicule, but who have gone on the record nevertheless. They have spoken out claiming that there is a known, provable or plausible link between autism and vaccines. Many of these doctors claim that this is not just assertion but a proven fact. In fact, the data linking children’s vaccines to autism was presented in 2000 to a group of USA Government bureaucrats & scientists and corporate scientists among others at a meeting convened by the Centre for Disease Control CDC. The meeting was held in secret and attendees were forbidden to make reports, photocopies or media announcements. Nevertheless, according to CDC Epidemiologist Tom Verstraten, the medical records of over 100,000 children showed that a mercury based preservative in the vaccines – Thimerisol – appeared to be responsible for a dramatic increase in autism and other neurological disorders in children. To support his case Verstraten cited numerous earlier studies that indicate a link between Thimerisol and speech delays, attention deficit disorder, hyperactivity and autism. Consider also the case of Dr Kenneth P Stoller MD. Currently the director of the New Hope clinic Santa Monica California, he was a fellow of the American Academy of Pediatrics for two decades. He resigned in 2008 after stating that the AAP had known that the mercury in vaccines can cause autism and other neurological damage, yet the organisation refused to act to remove mercury from vaccines and instead engaged in a cover-up to protect vaccine makers.